The Project on Resources and Governance (PRG), launched in 2017 by three UCLA scholars, has received a three-year $1.4-million grant from the William and Flora Hewlett Foundation. PRG seeks to address the “resource curse,” in which countries with abundant natural resources that can be drivers of growth and prosperity nonetheless struggle with poverty, conflict and corruption. The project seeks to apply cutting-edge social science research methods to test and discover policies that promote welfare, peace and accountability in resource-rich countries. 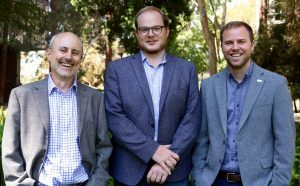 PRG is the brainchild of UCLA faculty members — Professor Michael Ross and Assistant Professor Graeme Blair of Political Science and Assistant Professor Darin Christensen of UCLA Luskin Public Policy, who holds a joint appointment with Political Science. The grant will be used to initiate new research projects in natural resource governance; to build capacity of decision makers to generate, interpret and apply rigorous evidence; and to grow the knowledge base on what works to help countries maximize benefits from their natural resource endowments. View photos from the recent PRG workshop in Accra, Ghana. Read about the origins of the Project on Resources and Governance. Scholars and policymakers came together Sept. 21-22, 2017, on the UCLA campus to help launch a new initiative that is dedicated to finding policies that promote welfare, peace and accountability in resource-rich countries. The two-day conference at the UCLA Luskin Conference Center focused on research by a global network of social scientists and practitioners known as the Project on Resources, Development, and Governance (PRDG). The founding members of PRDG include Darin Christensen, assistant professor of public policy at UCLA Luskin, and UCLA colleagues Michael Ross, professor of political science, and Graeme Blair, assistant professor of political science. Hover over the image below to access a Flickr gallery of photos from the conference taken by Les Dunseith of UCLA Luskin Communications. Mining in low- and middle-income countries is one of the resource curse issues being studied by the UCLA researchers. Social scientists call it the resource curse, and it’s one of the reasons why Ross and two UCLA colleagues, UCLA Luskin’s Darin Christensen and political science faculty member Graeme Blair, have created the Project on Resources, Development, and Governance (PRDG), a network of social scientists, policymakers, nongovernmental organizations and industry representatives dedicated to finding policies that promote welfare, peace and accountability in resource-rich countries. About three dozen countries in the low- and middle-income world are economically dependent on oil, gas and mining, but they all seem to struggle despite the riches provided by the resources. Those countries include Angola, Kenya, Uganda, Peru, Ecuador, Venezuela, Bolivia, Indonesia, East Timor and Kazakhstan. “They tend to be conflict-ridden,” Ross said. “There are protests, there’s pollution, there are civil wars around these projects.” There’s also plenty of corruption, with many of the countries in economic turmoil because of bribery and other issues in regions of exceptional resource wealth, such as mining areas. Finding solutions to these challenging issues won’t be easy. That mission officially begins Sept. 21-22, 2017, with the first PRDG summit at the Luskin Conference Center on the UCLA campus. Researchers and policymakers from UCLA, the World Bank, Barnard College, the University of Pittsburgh, the Natural Resource Governance Institute and many other organizations and universities will make presentations and discuss issues that range from creating successful research-policy partnerships to the research priorities of funders. 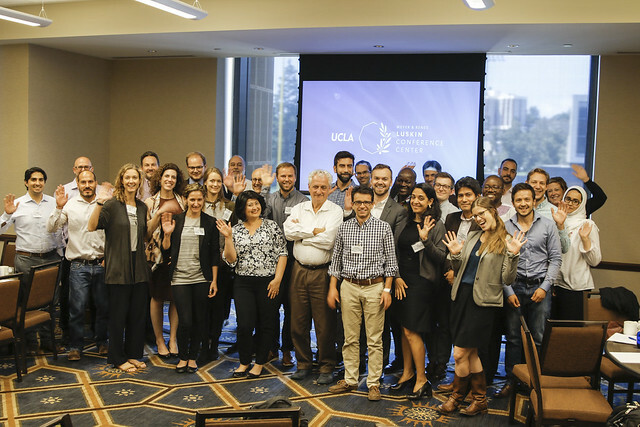 The September conference at UCLA was generously funded by the Luskin Center for Innovation, Natural Resource Governance Institute, the William and Flora Hewlett Foundation, the Burkle Center and UCLA’s Political Science Department. 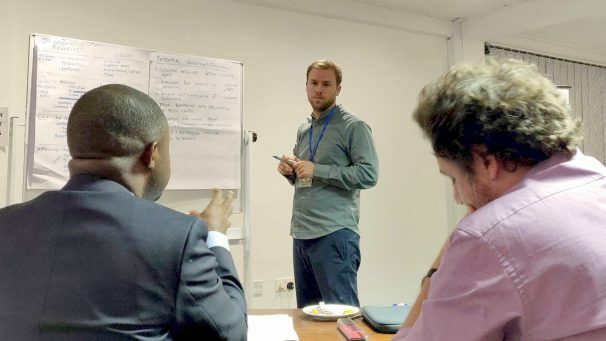 The initiative also recently received a one-year, $600,000 grant from the William and Flora Hewlett Foundation to support additional workshops in Washington, D.C., and Accra, Ghana, and the research partnerships that emerge from these meetings. PRDG’s short-term goals include generating a series of new research projects on solutions to problems faced in resource-rich countries, bringing together researchers, policymakers and practitioners. “Another goal is to start joint learning exercises where we go out into the field and try to help build research into their existing program,” Blair said.